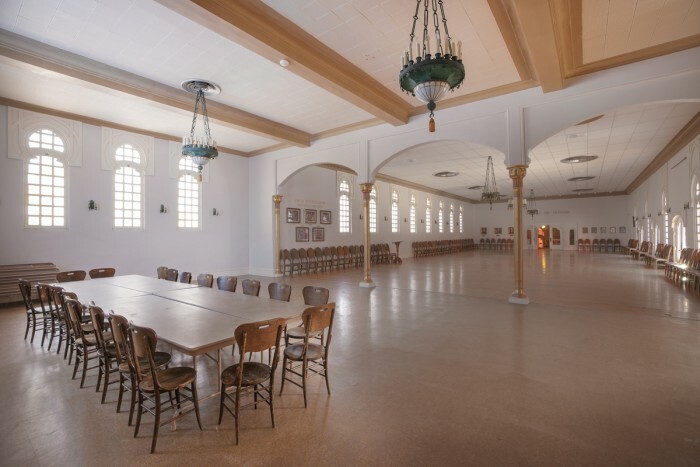 The 3,320 square foot Grand Ballroom can be configured in many ways to accommodate up to 200 seated guests or 300 standing with minimal tables. Lighting is provided by five Tiffany-style chandeliers and aged-copper sconces as well as windows for natural daytime light. Three sets of double doors open out into the seasonal courtyard that you and your guests will truly enjoy. 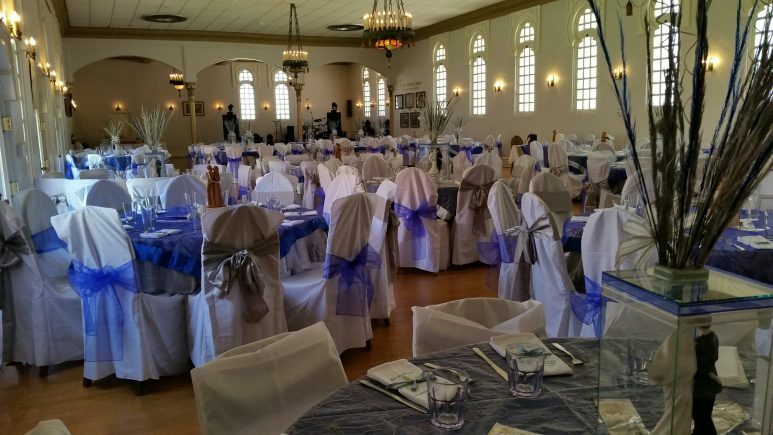 The Grand Ballroom can be booked separately and is the perfect space to host your wedding reception or after party, anniversary or birthday celebration. Proms and graduations, fundraisers, art and trade shows are also weclome! So, whether it’s a grand affair…. 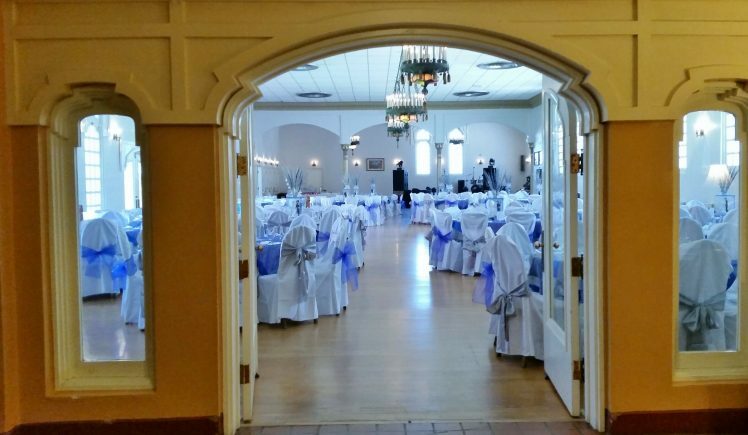 Your event will be a perfect fit in the Grand Ballroom. A hand held (or stand mounted) wireless mike and lapel lavalier mike amplify spoken word through ceiling mounted speakers, perfect for announcements and lectures. A podium is available. A Yamaha Clavinova is available for an additional fee. 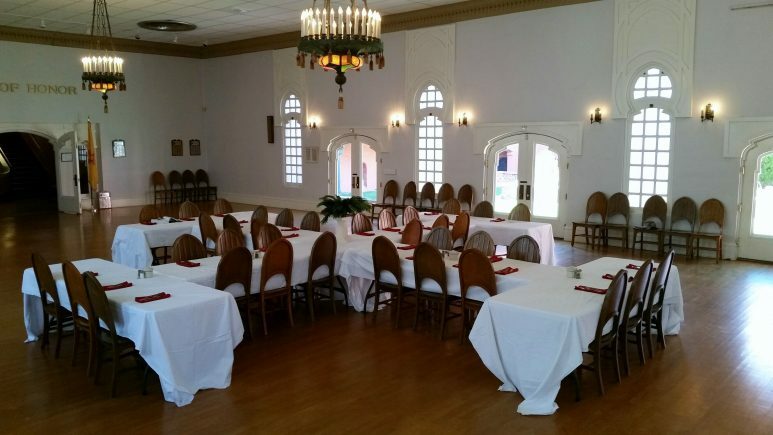 Tables and chairs are included with rental.